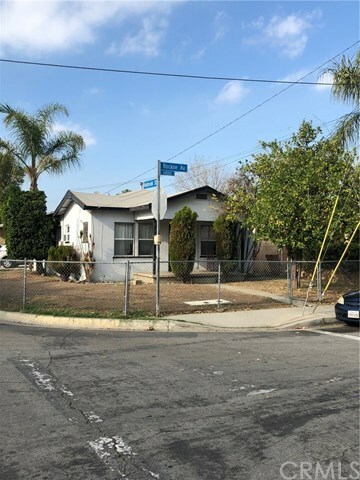 Just fell out of escrow......come take a look while you can..Buy two homes for the price of one...Two houses on a lot with First home Entrance located on 10551 Holbrook St. 3 bedrooms 1 bath. Living room with Walk in kitchen and dining room. Laundry hook ups in the attached 2 car garage. Front yard and private side yard for with lots of privacy. Second home Main entrance is privately located at 6131 Rockne Ave. features 2 bedrooms 1 bathroom. living area and large kitchen. Washer and dryer hook ups also available for this home. Big Front yard that is partially fenced. plenty of parking for 2 with private carport. Separate gas and electrical meters for added convenance. Both homes have new flooring throughout and new interior paint. Units are in good shape and price to sell....Homes has plenty of space in-between them so lots of privacy and almost zero noise.